To begin with Lucile followed in her big brother, Pierre Ochs’, footsteps in competitive skiing and particularly bumps, he having been a member of the French Ski Team at the Olympic Games in Vancouver and Turin. Her talent for endurance started to become apparent on family hikes in the mountains. 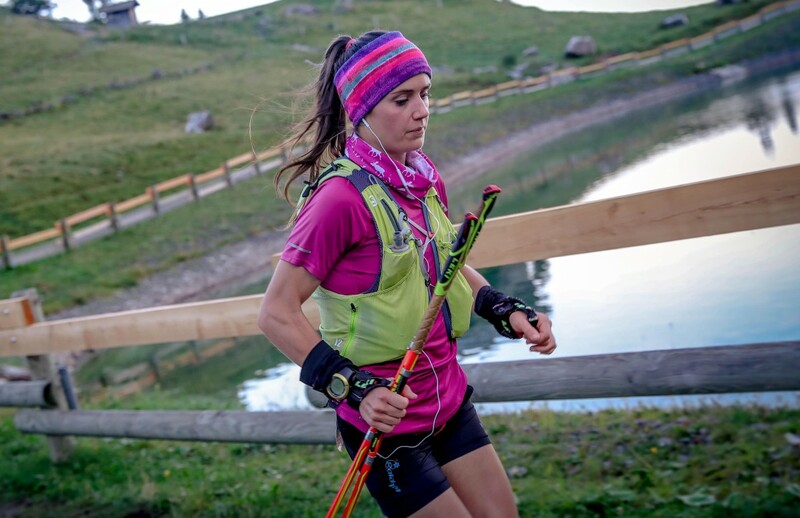 She sported her first bib in 2012 for the legendary Suisse de Serre-Zinal race. She has been living in Morzine-Avoriaz for the past two years. For her, the resort is the ideal place to train and get the most out of an exceptional environment all year round. Face down the national and international elite in the Golden Trail Series. The Golden Trail World Series brings together the most iconic courses (Serre-Zinal, Marathon du Mont Blanc, Maxi-Race Annecy and Skyrhrune) in a new, revolutionary concept. A clear, simple format where the best three results from the six possible races count. This format builds the public’s excitement throughout the season and ensures that the elites meet as many times as possible during the year, guaranteeing a high standard at each race.